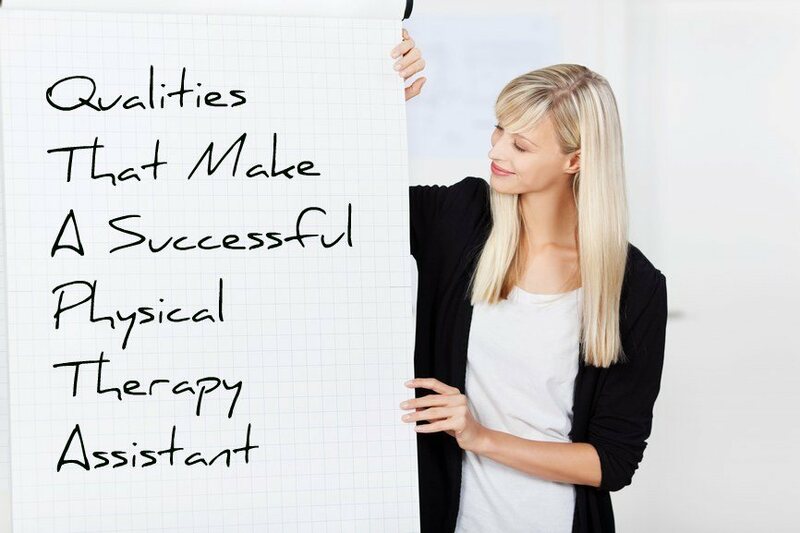 In today’s healthcare sector the demand for qualified physical therapy assistants (PTAs) is higher than ever before. In fact, according to the Bureau of Labor Statistics (BLS) there were over 71,000 licensed PTAs and that number is expected to increase to at least 100,000 by 2022. In addition, PTAs enjoy very competitive salary and benefits packages, with the median annual income for an American PTA being about $52,160. For these reasons, a growing number of individuals are choosing to enter the field of physical therapy as licensed PTAs. However, it is important to understand that the field of physical therapy requires a certain mindset among those health providers who work within it. This is especially true for PTAs who will be required to provide high quality care for their patients while also working with the rest of the medical team in a professional manner. A professional and caring mindset. The ability to work effectively with other medical professionals. A strict attention to detail. A willingness to engage with his or her patients. An understanding of what types of services of PTA is allowed to provide. PTAs work with a wide variety of patients. In some cases, a PTA will help critically injured individuals regain their physical capabilities. Other PTAs may work with individuals who are suffering from long-term conditions that can only be mitigated rather than being completely eliminated. In many cases, the PTA will work with men and women who are upset, in pain or discouraged at their rate of improvement. For this reason, the PTA must be both professional and caring in his or her mindset and actions. The PTA must understand when the patient should be encouraged to press on and when a pause would be most appropriate. Furthermore, the PTA must never become impatient with his or her patient during the course of their treatment. Many PTAs work with the elderly, either as in home care providers, outpatient workers or in the context of an eldercare facility. Working with the elderly presents unique challenges. Many older individuals are unused to needing help and may be both angry and embarrassed at their current state. In other cases, the patient may be suffering from cognitive disorders such as dementia. In these cases, the PTA will have to be aware that his or her patient may suddenly become disoriented, noncompliant or fearful. Depending on the situation, the PTA will have to calm the patient or secure qualified medical assistance to resolve the situation. PTAs almost always work in the context of a larger team of healthcare providers. For this reason, the PTA must be able to interact in a professional manner with his or her coworkers. When working with other medical professionals such as physical therapists, registered nurses and physicians, the PTA will be required to follow the instructions of his or her superiors. In addition, the PTA must also be able to accurately relay any observations regarding his or her patients to the rest of the medical team. Depending on the PTA’s current position, he or she may work with other members during periods of high stress. For this reason, a successful PTA will cultivate the ability to remain calm no matter the situation. By doing so, the PTA will come to be seen as a supportive member of the medical team, whether he or she is working at a major hospital or a small doctor’s office. When working as a PTA it is vital that the caregiver ensure that his or her reports are accurate in every detail. In addition, the PTA must be able to accurately observe and relay any information about the patient’s progress to his or her superiors. The PTA must also be certain to use accurate medical terminology when describing the patient’s progress and condition. By doing so, the PTA can help ensure that even those medical professionals who have not directly examined the patient will have the accurate and detailed information they need to effectively evaluate the case. Working as a PTA requires a deeper emotional investment than many other jobs. The PTA will be working with patients on a long-term basis and will share in their triumphs and failures alike. This can be especially true with elderly patients who are suffering long-term degenerative conditions and individuals who are undergoing treatment for serious illnesses and injuries. For this reason, the PTA cannot give the impression that his or her patients are unimportant. During the treatment sessions, the PTA will engage with the patient on both a personal and professional level. In addition, many PTAs will also work with the patient’s family and home caregivers over the course of the patient’s treatment. It is important to note that in many cases, caring and attentive caregivers have been proven to improve the patient’s mental and physical condition alike. While a PTA is a licensed medical professional, he or she is not a physician or physical therapist. For this reason, all PTAs must understand what their professional responsibilities are. The PTA must be careful to never misrepresent himself to the patient. For example, while many patients may ask the PTA to diagnose their conditions, a PTA is not permitted or qualified to offer that service. In addition to the danger of misleading the patient, a PTA who provides these services may face disciplinary action. By following these recommendations and cultivating the above personal and professional attitudes a PTA can be assured of an enjoyable and long-term career. Whether it is providing care to the elderly or working in a major public hospital, the PTA plays a vital role in ensuring that the American people receive the care they deserve. For this reason, all PTAs should focus on developing the personality traits that will ensure their ability to effectively interact with their patients, fellow caregivers and members of the general public alike.